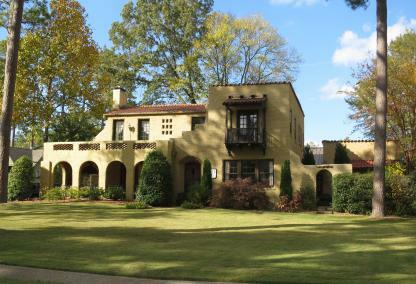 Hollywood is a historic district comprising over 800 acres in Homewood, Alabama. Much of the community is listed on the National Register of Historic Places as the Hollywood Historic District. The area is known for its Mission Revival and Spanish Colonial Revival architecture of the homes and other buildings in the district. Hollywood was independent town until it was annexed by Homewood in 1929. Included below are homes for sale in Hollywood in Homewood, AL. If you would like more information on any of these Hollywood real estate listings, just click the "Request More Information" button when viewing the details of that property. We can provide you with disclosures, past sales history, dates and prices of homes recently sold nearby in Homewood, AL, and more.